Festival Gourmet International Vallarta, the annual food and wine event that has been tempting the tastebuds of Vallarta-Nayarit residents and visitors for years, returns November 11-20, 2016. Mexico City - A lot has changed in Puerto Vallarta since the International Gourmet Festival started in 1994. The city on the Pacific Coast of Jalisco has become a top beach destination in Mexico and drawn thousands of U.S. and Canadian expatriates. The International Gourmet Festival is one of a handful of events that has put Puerto Vallarta on the map, and keeps people coming back year after year. The 22nd edition of the Festival will take place November 11 through 20 and extends from Puerto Vallarta along the Rivera Nayarit to Tepic, Nayarit. A press conference at the Almara restaurant in the Juárez neighborhood of Mexico City gave a taste of what to expect for this year's Festival. Marc Murphy, Director of the Tourism and Conventions Office of the Rivera Nayarit, said, "We use the palate as our best tourism promotion." 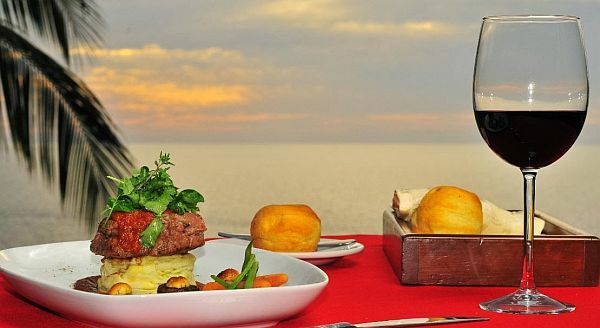 Agustín Álvarez Valdivia, General Director of the Puerto Vallarta Tourism Board, said that Puerto Vallarta has distinguished itself as a culinary destination nationally and internationally, and is experiencing, "the best moments of its history." This year the festival will have invited chefs from ten countries at a variety of local hotels and restaurants. Each invited chef will host a "theme night" at a hotel, where they chose the menu, an offering that has been popular in recent years. Some of the functions will include a "Progressive Dinner," where guests dine at four different restaurants over the course of a night; a "Tequila Patron and Tapas" evening hosted by one of the festival sponsors; and the "Grilled and Smoked" event, which will take place on the beach and feature live grilling and smoking of meats and fish. The Tequila Patron event is one of several that will feature original cocktails and innovative mixology, a forte of this year's festival. Twelve restaurants, including Coco Tropical, Deux Mec, La Palapa and La Patrona Polo Club play host this year, along with 15 hotels, including La Tranquila Breathtaking Resort and Spa, the Mikado-Casamagna Marriott and La Catrina-Hilton. Over the course of the ten-day event, the organizers expect up to 20,000 people to attend the diverse functions. Information is available on the festival's website.